A Graphical User Interface Application consists a set of elements called as Components. A Component is an abstract class, which produces an object of some features like size, position and projects them to the screen by taking the events. 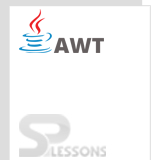 AWT Components are placed in containers and are controlled by it. Label is the user-defined text, which cannot be modified by the end-user. To modify a label, one can use text field, and text areas. Button contains a Label and creates an event when clicked on it. 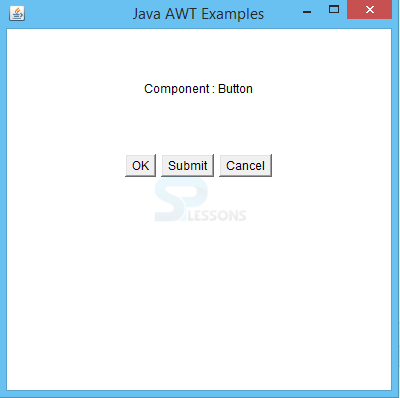 Whenever a button is clicked, ActionListener gets implemented thereby creating a new listener to note the actions that are to be performed by this button using addActionListener(). CheckBox acts as a boolean function by changing the state from true to false and false to true. This is used for multiple selections. 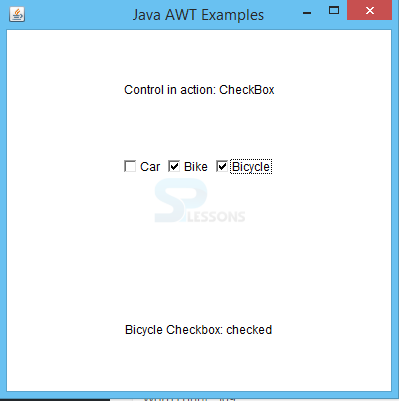 Choice component gives the list of choices from which one can be selected to be appeared in the box. 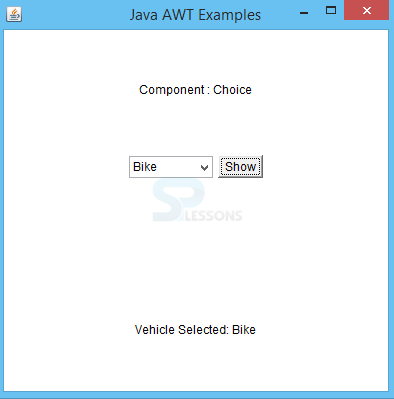 String data = "Vehicle Selected: "
Advanced to AWT Components Choice control, List helps in selecting multiple options. It takes more space. 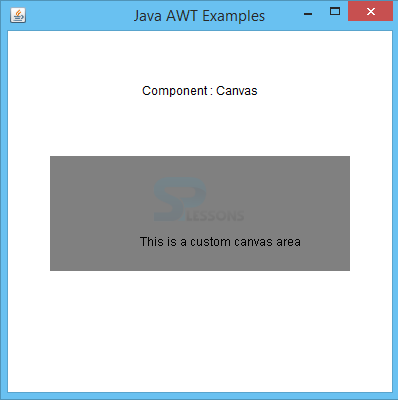 String data = "Fruits Selected: "
Canvas, one of the AWT Components, is a rectangular area used to take inputs given by the user. 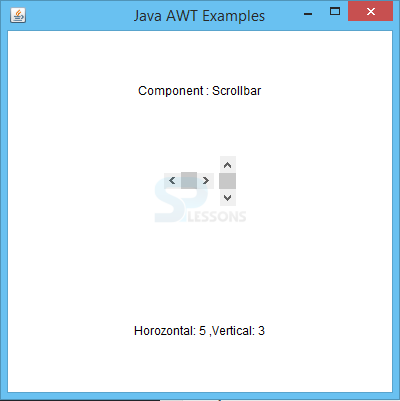 AWT Components, ScrollBar allows the end-user to navigate up and down when there are multiple options in a field. Label is the user defined text. When clicked on a button, an event will be generated. Checkbox decides the state of an event by true/false. Choice allows a single selection and List allows multiple selection of choices. ScrollBar is used to navigate in the given space.